It is commonly misunderstood that contract management is only important for legal and accounting purposes. Often, contracts are filed away once the negotiation is done. However, this is a dangerous practice and can result in not only missing out on benefits such as additional cost savings, better visibility, more strategic allocation of spending but also run the risk of maverick or unnecessary spending. The first benefit is having an overview of all the hired vendors. This is crucial in allowing us to maintain oversight over contracted vendors and their performance. Incidents of unnecessary spending such as double hiring, renewing contracts at above market rates or even for services that are no longer necessary. And this is relevant to all organisations, even the Government is not excluded as seen from last year’s incident. “The Ministry of Health (MOH) spent more than S$4 million on site supervisory staff engaged by its agent without verifying the “need for and reasonableness” of this expenditure, according to AGO when MOH had already engaged a contractor to provide site supervisory services for the project which began in October 2011.” Original source: Channel News Asia. As such, contract management is important and should not be overlooked to minimise or prevent such risks. And the steps to do so will be further elaborated later. In most organisations in Singapore, goods and services are procured on a department level. However, by adopting proper contract management, we’re able to consolidate the spending across all the departments based on individual contract value. 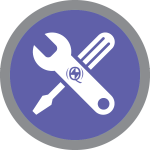 This allows us to identify common goods and services across departments. We can then bundle together the common ones to negotiate for more favourable contract terms. For instance, if the marketing and admin department are hiring different vendors for printing services, we can consolidate the requests and hire one vendor to do all the work for a cheaper price. Other than cost savings, consolidated spending also allows us to better analyse it. Insights gathered can then be leveraged to increase cost savings. One such analysis is the 80/20 analysis. With proper contract data, we’ll be able to identify the top 20% of the vendor that represent 80 % of our total spending. We can then make plans to ensure that the spending with them are properly contracted and negotiated to the best prices and service level agreements possible. This can only be done with consolidated spend data obtained with proper contract management. Read more about spend analysis here. So how can we start improving contract management practices for our organisations? For starters, Microsoft Excel is the simplest go-to tool and something we are all familiar with. Firstly, add all your existing contracts into the excel sheet and include important information like contract category, contract amount and vendor details. With these, you’ll be able to perform simple spend analysis and procurement due diligence with the centralised visibility on all your contracts. For more advanced functions, you can add in formulas that help you to calculate contract period, set reminder dates for contract renewal. 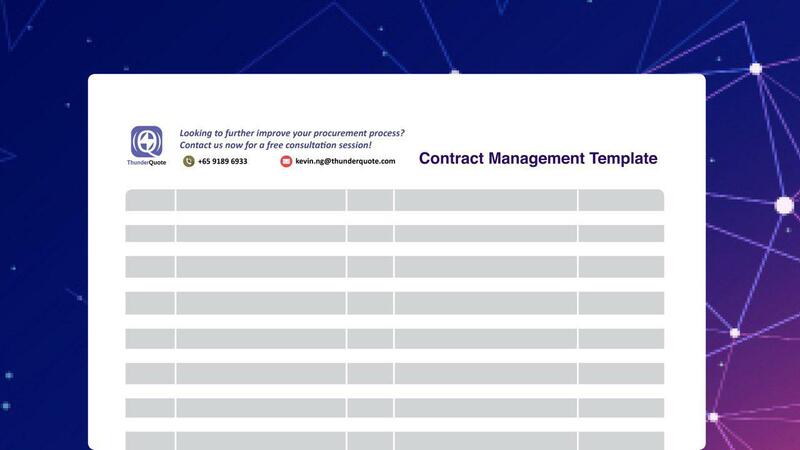 Alternatively, feel free to use our free contract management template to help you manage your contracts which comes with advanced features like contract expiry reminder. However, it is important to note that an excel contract management system can only provide temporary solution to proper contract management. 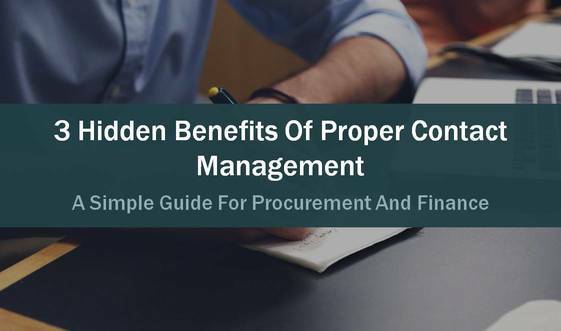 For proper contract management, it’s best to adopt a procurement system or solution to better manage your procurement process in the long run. 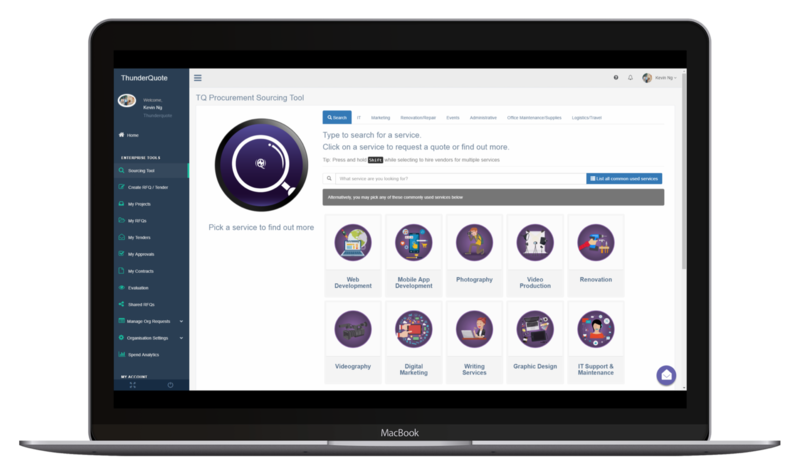 ThunderQuote procurement solution can easily manage your contracts while doing away with the hassle of manual entry and much more. To find out more, simply click here to contact us for a chat!